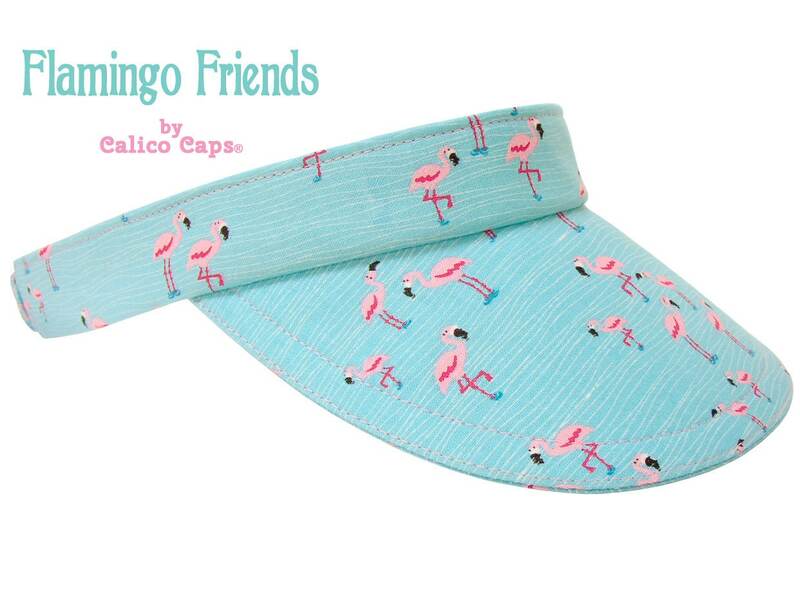 This beachy visor is called "Flamingo Friends" - Groups of cute little pink flamingos scattered on a light turquoise, sky blue background with very light blue wavey stripes to look like ripples in a pond. 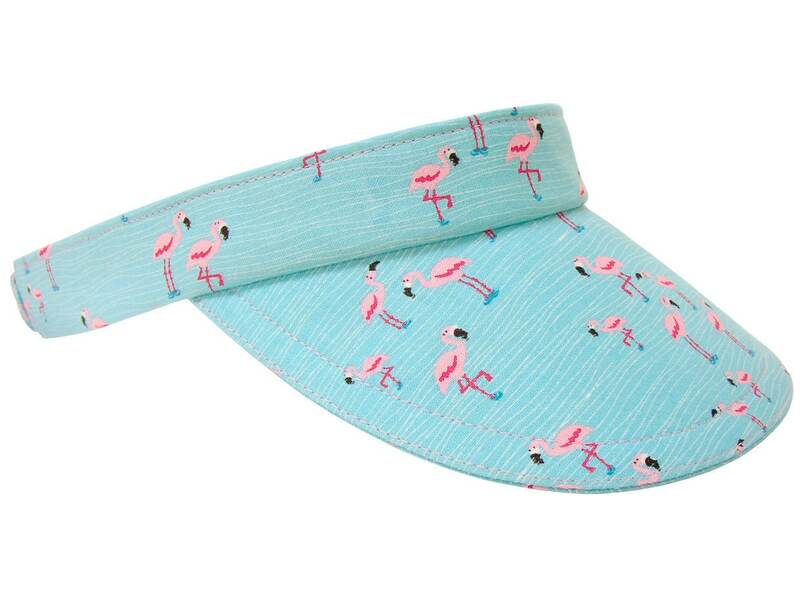 Medium pink top-stitching. Hot pink grosgrain lines the entire band.